The economic events of the past few years have spurred more than a few Bay Area residents to become renters rather than homeowners. After all, they reason, that way they’re not tied to an asset that may become devalued. And with the supply of new homes on the market outstripped by demand, renting seemingly offers more flexibility and immediate gratification. It turns out that would-be renters may have as many – or even more — challenges than prospective homeowners. 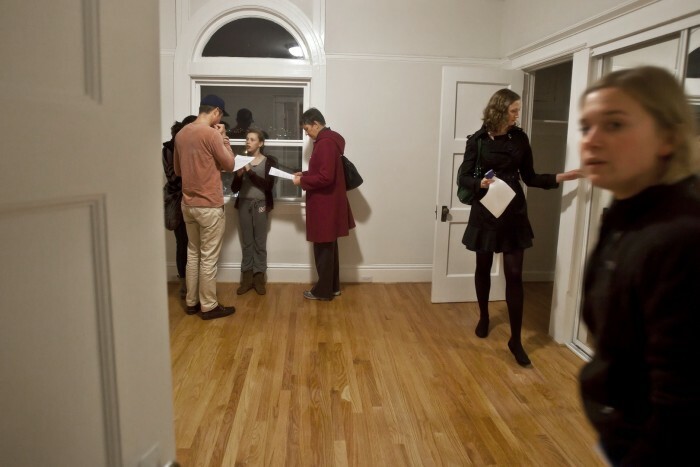 Let’s take a look at the state of rental housing in the Bay Area. According to a new study by the National Low Income Housing Coalition, rents in much of the Bay Area are the least affordable in the country. The study, called Out of Reach 2012, found that the most-expensive counties in the United States – tied for first place, in fact — are San Francisco, Marin, and San Mateo. Over the past four years, rental prices have climbed 13.7 percent in San Francisco, while occupancy rose only 1.3 percent. At the beginning of this year, the average monthly apartment rent in San Francisco County was $2,585. It’s much higher in the city’s most desirable areas. For example, listings for lofts in the South of Market/South Beach area are starting at $2,700 and skyrocketing to $7,000. In late 2011, apartments in Marin were more expensive than they had been in six years, with the average rent in Marin County up to $1,903, a 10 percent increase over 2010. Fueling the fire is the lack of inventory. In a classic case of supply vs. demand, one of the factors driving up rent is the paucity of rental units. For example, the vacancy rate in San Francisco is 3.2 percent, the tightest it has been since the height of the dot-com bubble in 1999. In Marin, the vacancy rate is around 2.8 percent – making rental units the scarcest they’ve been since 2008. The result? Waiting lists, climbing rents (that supply and demand thing again), and increased competition for available units. The media is reporting on the rental feeding frenzy out there, with desperate applicants willing to bid up the monthly rate and looking for insider tricks to nab a place before it hits the market. And applicants are forking over nonrefundable application fees — some to the tune of hundreds of dollars — in the hopes of landing a home. And if you think it’s bad now, just wait until Facebook goes public. The increasing number of Bay Area tech firms and workers, coupled with the increases in rental costs, has many pundits predicting another technology bubble. But even if that’s true, there’s no sign of it bursting any time soon. In fact, it could get worse. • They are young and not yet ready to put down roots. • They’ll be fighting the same battle as current home buyers: not enough inventory. That influx of cash and demand could contribute to even higher rents. Should you buy instead of rent? Would-be apartment dwellers who haven’t been able to find a reasonable rent in the Bay Area don’t have many options outside the standard ones: split the rent with a roommate or two, move further away from the priciest areas, look at alternatives such as renting a room instead of a full apartment, and so on. But it’s still possible to make the math work in the Bay Area. With restrictions on mortgages easing, and interest rates at near-record lows, you can end up with a home that represents an investment and equity, rather than simply shelling out cash for a rental with nothing to show for it. For example, suppose you’re looking in the Sunset District of San Francisco for a 3-bedroom, 2.5-bathroom option with a two-car garage. • Option 1: Rent a 1,350-square-foot home for $3,300 a month. *This assumes a 5/1 adjustable rate mortgage at 2.75% with a 20% cash down payment and doesn’t include insurance or property taxes in the calculation. So it makes sense to explore your purchasing options before you resign yourself to paying ever-increasing rents. And if you need guidance, our partners at Mortgage Services Professionals are happy to help.